As we reflect back 2017, we are truly blessed by the support of all of our heart families & their loved ones. We are challenged daily to further our mission of ‘sharing love by providing emotional and financial support to Iowa families affected by congenital heart disease (CHD)’. Here’s a few highlights from 2017! 1. 71 Families received a meal on their child’s surgery day. While this can seem like a simple gesture, it is a huge blessing to provide a meal for our families while they wait for their child to come out of surgery. 2. We were blown away when we added up the numbers from the 2017 ‘Celebration of Life’ Dinner & Silent Auction held in June. We had 460 people attend & raised just over $20,000! We have a goal of breaking $25k in 2018! Mark your calendars for June 25th, 2018! 3. During 2017, we started giving out The Mended Heart Bummer Bears, that have a zipper scar on their chest & a stitched up heart. These bears brought so much joy to the children facing or recovering from an open heart surgery this year. To date we have given out 84 bears! 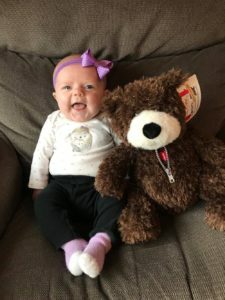 if you would like to sponsor a bear, click the ‘Donate’ button at the top of our website & check out one of our adorable CHD warriors with her bear in the picture above. Every $40 donated sponsors 1 Bummer Bear. 5. During 2017, we were fortunate enough to increase our financial support of our heart families from $50 to $100 per week when their CHD warrior is hospitalized longer than 2 weeks. In the last 12 months, we have given away over $25,000 to families in need in gas cards, food cards or other monetary assistance. Now that’s something to celebrate! 6. Thanks to all of you who were able to attend the 4th Annual Superhero Heart Run in October. We raised $27,792 at the event & had over 600 people attend–needless to say, it was a record-breaking year! We share the proceeds of this event with Heart Heroes, a nonprofit out of Omaha that provides personalized superhero capes to children with CHD’s. If a CHD warrior you know doesn’t have one, you can request one for FREE on their website! Save the Date for October 14th, 2018! 7. What do an Iowa Energy (now Wolves) game, Dreamnight at the Blank Park Zoo, the annual Summer Potluck, a Santa Visit & a Valentine’s Day party all have in common? These are all fun events for our Support Group families held throughout the year! On average, we have 20-30 adults & kids attend our monthly Support Group meetings. The friendships made between our families & the support that they offer to one another are truly priceless. 8. Help-A-Heart was the recipient of several outside fundraisers held throughout the year. We received $9,500 from the Professionals for Charity Annual Golf Outing held at the Tournament Club of Iowa Golf Course in August. 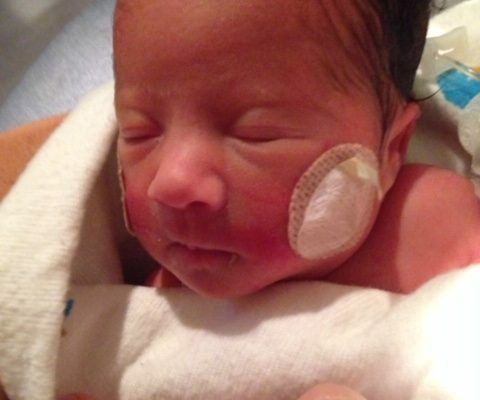 In June, the Reeve Heuton 5K Memorial Run Walk donated $3,350 in memory of their sweet boy. We’ve also been on the receiving end of donations of books, thermal coolers filled with comfort items, button up onesies, toys & restaurant gift cards for our CHD warriors in the hospital. A few of these donations have been birthdays where the children wanted to collect donations for Help-A-Heart instead of receiving gifts for themselves! We feel privileged to receive these donations & are blessed to pass them along to brighten the day of our heart families. 9. The 9th Annual Dylan’s Dragon Walk was held in September at the Wagner Park Bandshell in Ankeny as a remembrance walk for all of our angel families. The sun was shining brightly as many family & friends gathered to release balloons in memory of their precious children gone too soon. In 2017, we started a Bereavement Team of 7 of our heart angel mamas who are working on supporting families faced with the unimaginable loss of their child. They plan meetings four times a year for our angel families to gather & support each other. Forever in our hearts, never forgotten. 10. We now have 303 families in our Support Group distribution list. While our heart aches every time a new family joins our ‘heart family’, we are so blessed to have the resources to offer them emotional & financial support in their time of need. Help-A-Heart wants to wish your family a very merry Christmas & a happy new year! Thank you for your support this past year & we hope to see you again in 2018!